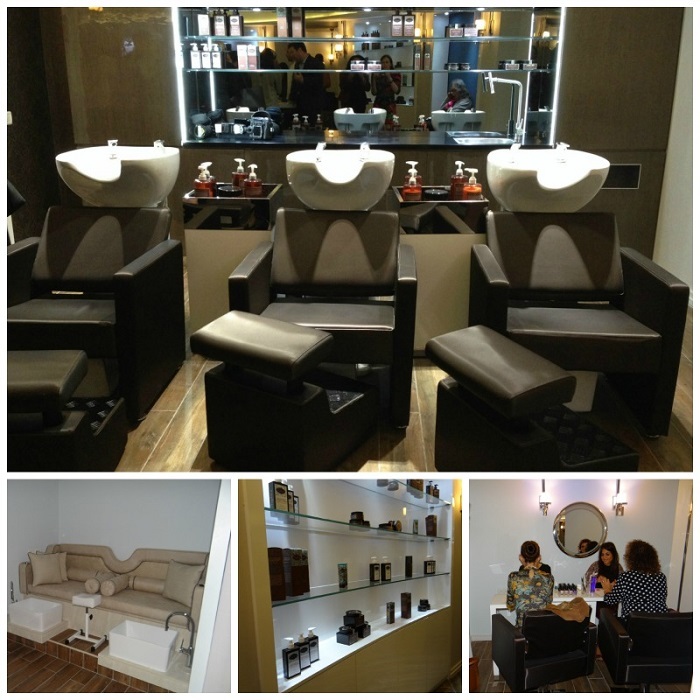 Saphira, a new hair and beauty salon was opened last week in Jerusalem Waldorf Astoria hotel. The salon features Maurice Dadon hair stylist and the unique products of Saphira that combines dead sea minerals with the newest hair styling technology. 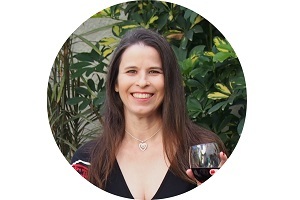 Saphira Tessler-Greenberg and her husband Aviad developed unique hair care products that are based on the Dead Sea minerals. The Dead Sea minerals are known for their healing and therapeutic qualities are widely used in skin care products, Saphira brought them into hair care products and developed a line of products with 15 different haircare products that contain 26 essential minerals from the dead sea, that is called Saphira to emphasize the woman behind the products as a feminine strength. The products are developed in Israel and are sold worldwide (also on Amazon). In Israel, the products are sold online and exclusively at Saphira Hair Salon at the Jerusalem Waldorf Astoria. Saphira hair salon features Maurice Dadon, the Zionist hair stylist that learnt fashion in Paris and worked in Beverly Hills until he did ‘Aliya’ with his family and came to Jerusalem. It is located on the lower level of the Waldorf Astoria and spans over 170 square meters. It is first and foremost a hair style boutique featuring 8 stands, but you will find there everything that a woman needs from nail care, pedicure, makeup stands, and bridal services – everything needed for a perfect look! 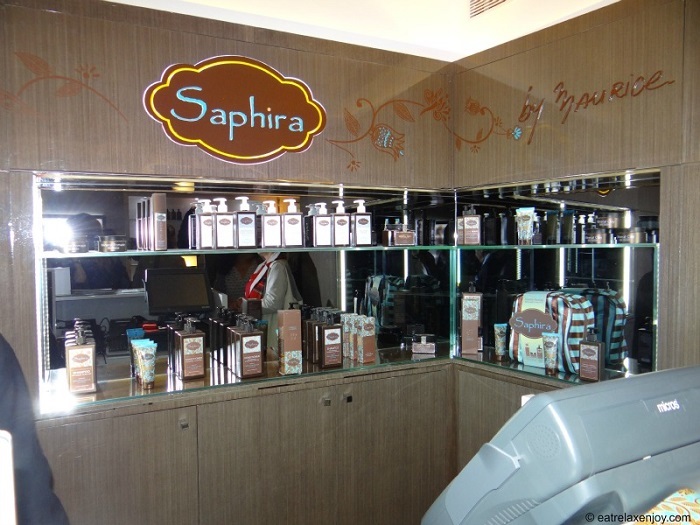 Among Saphira’s products that are sold on the premises, you can find Keratin Shampoo and conditioner, regular and therapeutic; therapeutic oil; Mineral Mud mask, and a n-wash mask that is called The One and includes 10 benefits in one product! All the products are based on Dead Sea minerals, Karetin and without sulfates and unwanted ingredients, they nurture the hair, soften it and provide moisture, glow, and easiness of styling. 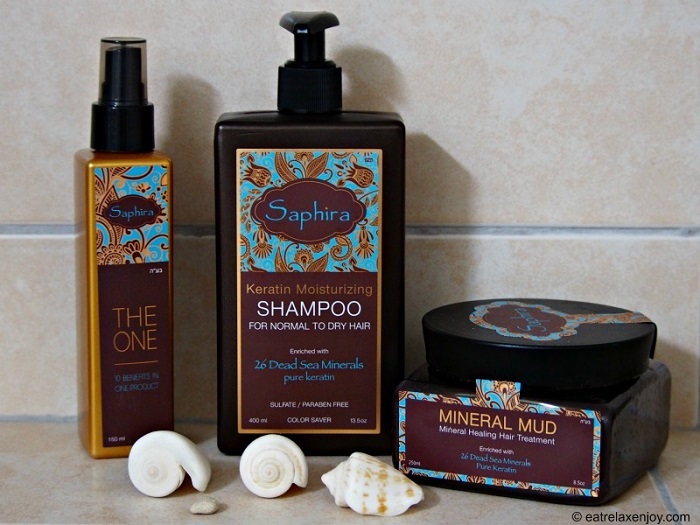 Among Saphira’s luxurious products I tried three: Karetin Shampoo, Minearl Mud mask, and The One. I’ll start with the unique scent. I wish I could pass the wonderful odor that this line of products has, all I can say that it is so pleasant and remains on the hair for quite a while! The shampoo is white and gently foams. 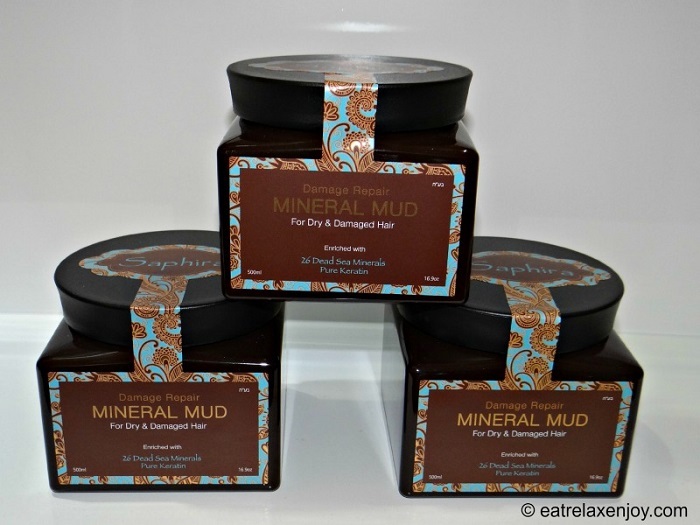 The mud mask has a brownish muddy color, it is to be applied and left on the hair for 4 minutes, but also after a couple of minutes I felt it worked very nicely – the hair turned soft and got nice volume. It eliminated feathering significantly. The combination made my hair very healthy and viable, it emphasized the natural colors of my hair. The two products have the wonderful odor of Saphira. Next, I applied ‘The One’. It helps styling the hair when it dries naturally (like me, I swim and I seldom blow-dry my hair), when blow-drying it, and just to shape it up a bit when not washing it. The odor is less emphasized compared to the other products I tried. My hair looked really lovely and glowing after I applied it and I was able to style it nicely! I really enjoyed the products and highly recommend them!